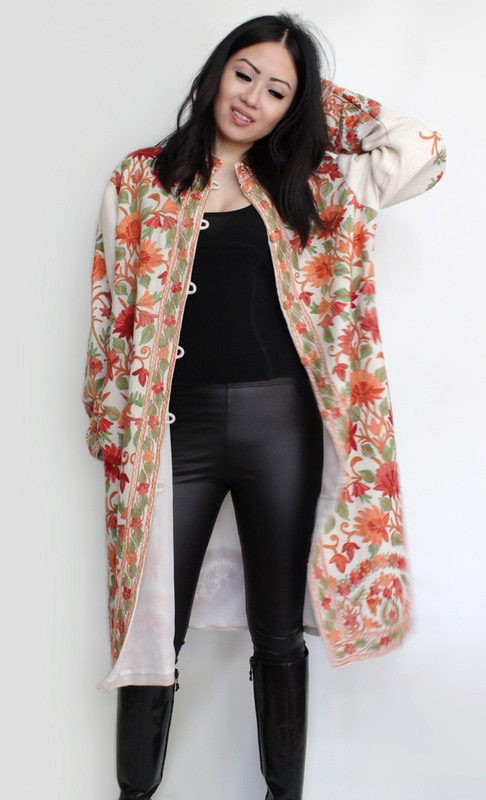 Shop Update: It’s All About Fall Fashion Vintage Style! I love shopping for Fall fashion. There’s always loads of items to choose from and multiple ways of wearing them. This year we’ve got some fun Fall vintage fashion coming your way. I’m starting off with these three vintage finds, but this is just the tip of the iceberg! You’ve heard of “the power suit”, well this vintage Betsey Johnson blazer is a “power blazer.” It’s got shoulder pads worthy of being in the ’80s movie, Working Girl, as well as a nod to the 1940s with its peplum, hourglass figure. In true Betsey Johnson style, the pattern keeps it fun and edgy. 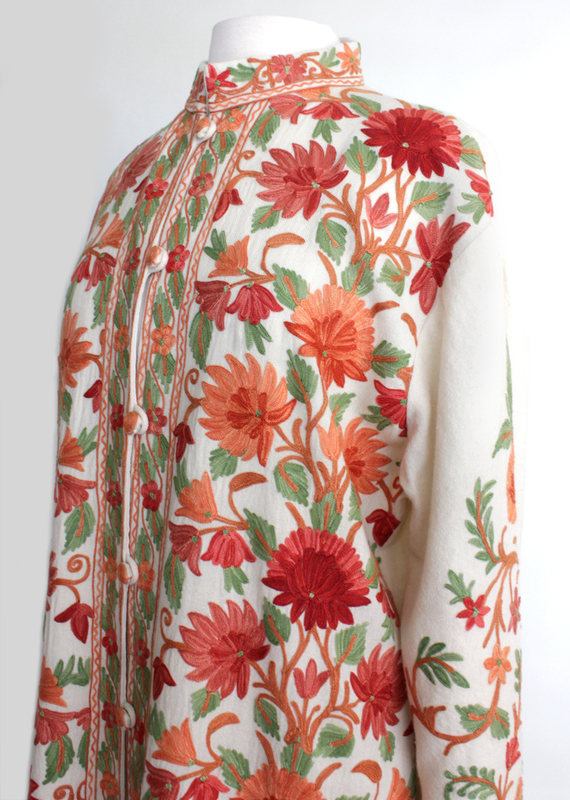 If you’re looking for a Fall/Winter coat, look no further than this intricately embroidered one in my Etsy shop. It’s got this boho, Russian folk feel to it and it’s warm and comfortable as any great coat should be. Oh, and the back is just as gorgeous as the front! I couldn’t let go of this vintage ’70s candy striped jumpsuit when I saw it! I mean, how could I? This baby has got the seventies written all over it and you get to channel the era of glam rock and Ziggy Stardust as soon as you slip it on. Stay tuned for more Fall vintage fashion as I add more items to the shop in the next couple of weeks. Feel free to subscribe to the CutandChicVintage newsletter here for email updates on new items and special sales sent straight to your inbox. Next Post OOTD: Today, It’s all about the shag.